“Don’t panic the masses” is the goal of government health officials. It’s pretty clear that health officials have dropped the ball with the Ebola disease. It wasn’t supposed to be an issue in America, but if it did happen to become an issue, then the public wasn’t to worry because everything was under control. Health officials, doctors and hospitals were all well trained and well equipped to handle any Ebola cases. But if you read the news about the first Ebola case in Texas, you can see what happened. It contradicted what the health officials said. The diagnosis itself was botched – meaning that Ebola slipped right through the cracks. It’s here and it’s not going anywhere. In fact, some experts predict that Ebola is poised to become America’s newest pandemic. As if that’s not frightening enough, the majority of people are not only ill informed, but unprepared for this health danger. 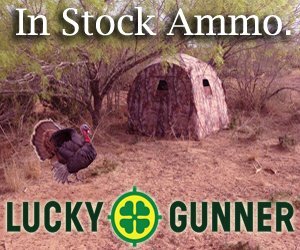 Are You and Your Family Prepared? Everyone should be prepared – not only with the basic essentials like food, water, and necessary medications – but with preventative measures like protection kits. These are kits that you can use if you find yourself in a situation where there are hot zones developing all around you. These are areas where diseases are highly contagious as well as deadly. Ebola falls into that category. 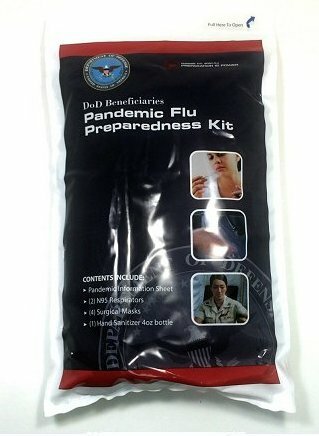 The Official Department of Defense Pandemic Flu Preparedness & Protection Kit is a pandemic kit that was created by the military for the military. This means it’s top quality and designed to keep people safer when compared to other similar kits. It contains four surgical masks as well as two respirators, which meet regulation guidelines for particle restriction safety measures. The kit also contains hand sanitizer. This is one of the key factors in preventing the spread of contagions. You can’t help but touch surfaces as you go about your day and public places are teeming with possible contaminants. Children and young people have a habit of touching a surface and touching their eyes, lips or noses – each of which can be an entry point for the Ebola virus if they touch a surface the pathogen is on. If you read the current CDC statements about Ebola, you’ll see that the disease can live for some time on surfaces. Keep in mind that since health officials are wary of causing panic, you’re possibly getting a watered down version of the facts about Ebola. The kit also contains an information card with helpful guidelines about contamination. Everything comes in a carry along bag for home or vehicle use. It’s also handy for college dorms and any public place where pathogens can easily be shared in the event that this issue gets worse. The owner of this website, Paul Millard, is a participant in the Amazon Services LLC Associates Program, an affiliate advertising program designed to provide a means for sites to earn advertising fees by advertising and linking TheSurvivalTribe.com to Amazon properties including, but not limited to, amazon.com or amazon.co.uk. The Survival Tribe Copyright © 2019.